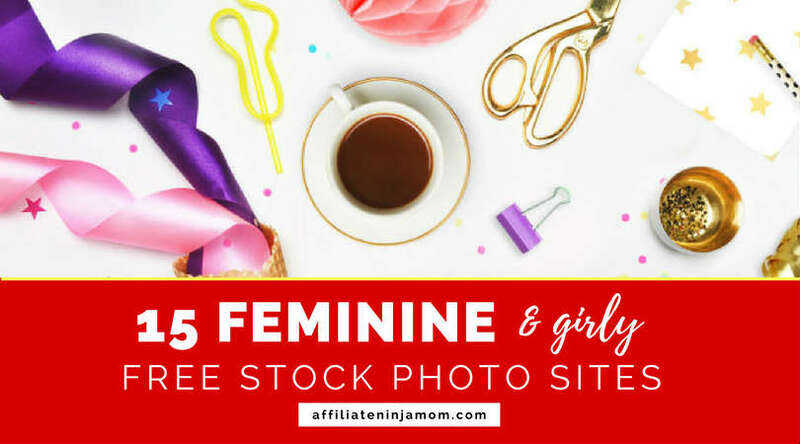 Looking for feminine free stock photos? This post should help. Whilst there are loads of fantastic free stock photos sites out there, sometimes we just want something, well, a little more girly. Less of the solo chrome laptop and a bit more pink or a splash of warm colour. 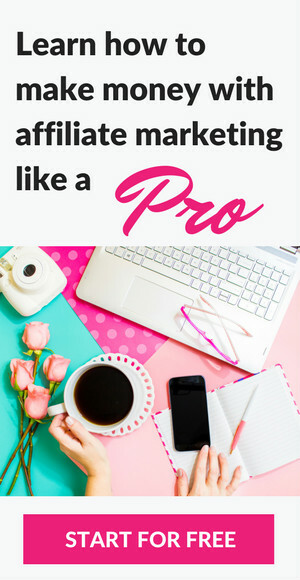 So whether you’re after a girly image of a desktop workspace or a feminine photo with lots of negative space to use on Pinterest, this post should have something for you. To be honest, I’m not *all* that girly myself. But I do love a pop of pink and I think it works a treat visually on a blog or website. In fact, did you know colour conjures up all sort of emotions in us, which we’re often not even aware of? 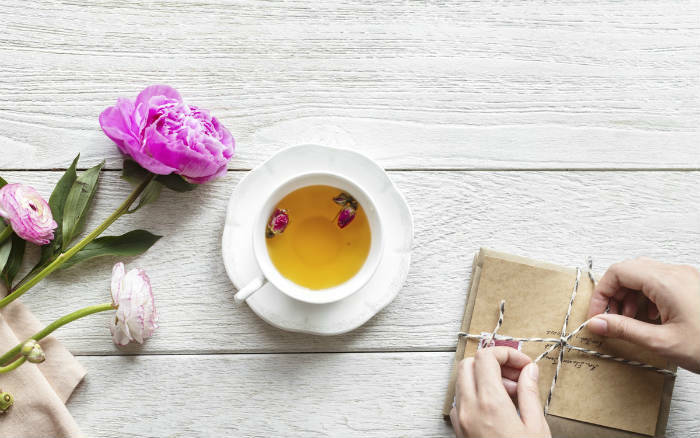 Warm colours such as red, pink, yellow and orange tend to do better on social media platforms like Pinterest, because they’re nurturing or positive colours that often appeal to women. Not surprisingly, more girly or feminine styled images also tend to do really well on Pinterest, since the audience is so overwhelmingly a female one. 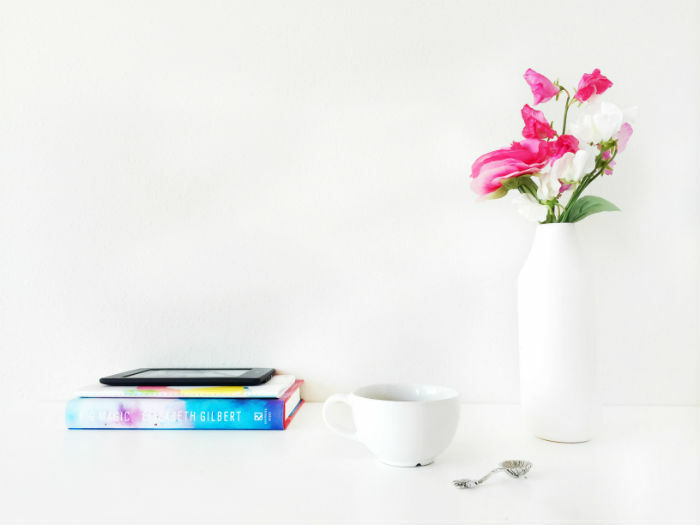 So whether you’re a freelancer, creative entrepreneur or Mom blogger extraordinaire, I think you’ll find some amazing photos on the sites below to help you get the more feminine look you’re after. Sourcing that ‘perfect’ stock photos can get frustrating at times. However, never take a shortcut and use a photo you’re not sure you have permission to use. Or you could end up with a hefty fine from a disgruntled photographer or photo agency. Never a good thing! 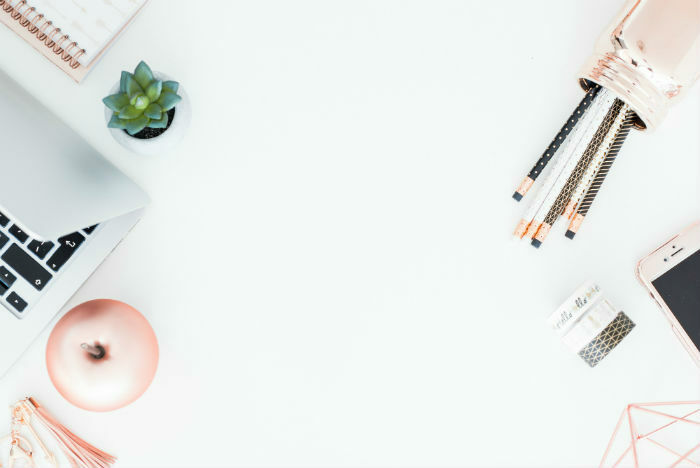 This is one of the reasons free stock photo sites, like Pixabay, are so amazing for bloggers and creatives on a budget. Their images are usually licenced under Creative Commons Zero (CC0), which means you can use the images for free (as well as edit or modify them), without asking permission from or providing photo credit to the photographer. However, the big free stock photo sites are not always the best sources for feminine styled stock photos. So below you’ll find a mix of sites that include established free stock imagery sites, as well as some smaller, more personal blogs and websites. Always double check the usage terms of individual sites to be certain of their respective rules. I only discovered Styled Stock recently and it’s a great site to add to your favourites list. All the photos are free to use, plus the site is dedicated purely to feminine stock photography. It currently features around 100 styled images, which should keep even the busiest creative bee going for a while. You can also sort by colour or theme, such as beauty, desktops, mugs, florals and food. Kayla at Ivory Mix is a generous soul. 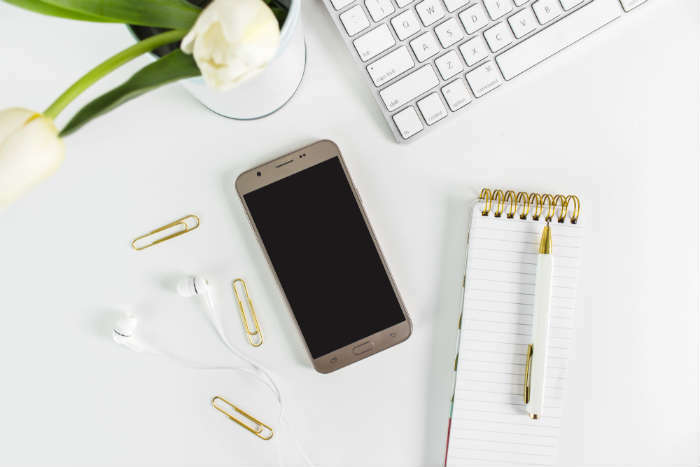 Not only can you pick up access to over 300 styled (and free) feminine stock photos, simply by signing up for her email list, she also offers some free guides on Pinterest, Instagram and Canva. Kayla sends new free photos to her email list every month and if you like her work, there’s also an affordable membership option, where you get acess to loads more feminine styled photos. Unsplash has been my ‘go to’ source for high quality stock photos for some time. I absolutely love it and think the quality and choice is unrivalled in a free stock photo site. The shots are much more arty and creative than other free image sites and I can get lost there for hours! There are a lot of images on the site though, across a huge range of categories, so to save time, I’ve linked directly to a selection of styled flatlay images, feminine styled photos. and pink styled shots. Shay offers some beautiful feminine styled stock photos on her site. The photos are exceptional quality, which is reflected in the prices of the paid photo options. But sign up to Shay’s newsletter and ‘voila’ – you can get access to 20 free styled stook photos for immediate use. Many of the photos also include a lot of white space, which is really handy if you plan to add text. 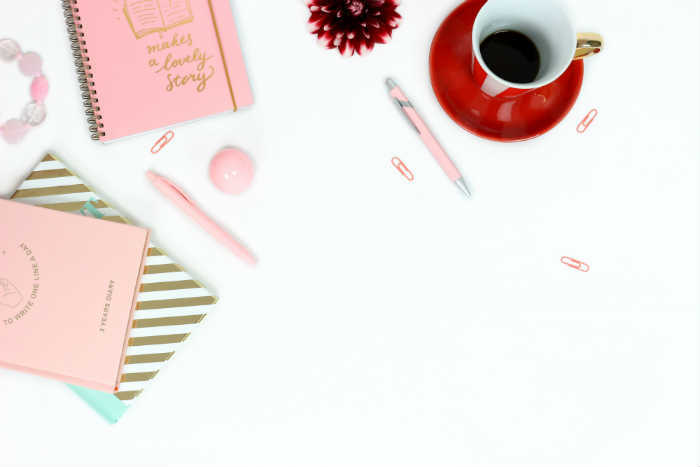 She Bold offers a collection of styled stock photos, created specifically with women entrepreneurs and bloggers in mind. Simply sign up to Resource Library and you’ll get access to 100 feminine styled images. 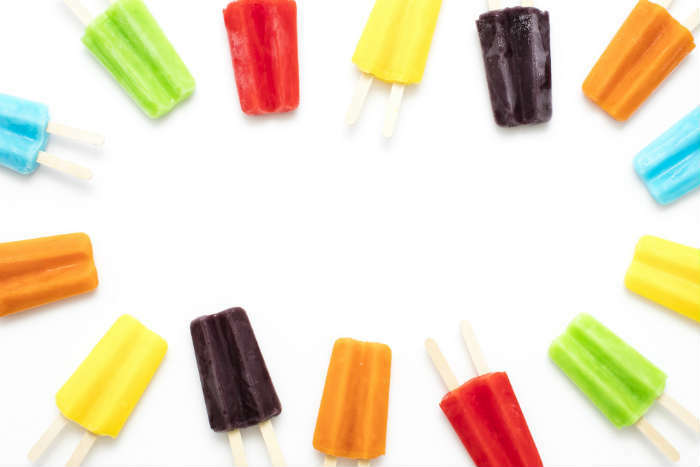 A good selection are in portrait, with lots of white space, making this another good choice for Pinterest images. Some of the shots are better than others, but 100 free shots is pretty darn generous and there’s a great choice to pick from. 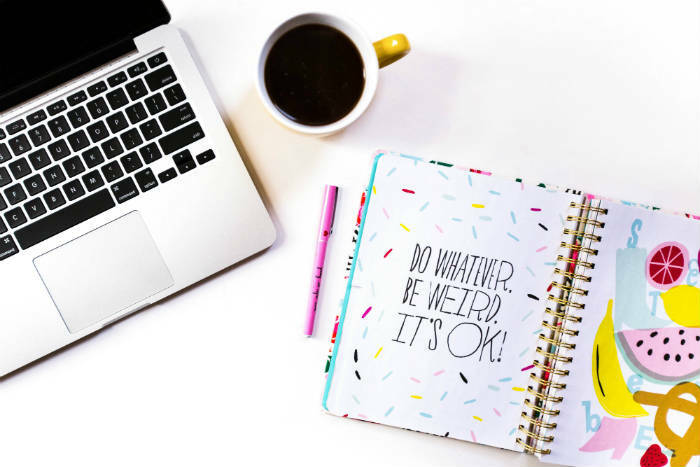 If you love yourself a bit of funky stationery and office supplies, head over to Wonderlass, subsribe to the email list and you’ll receive 15 styled stock photos straight to your inbox. Woop woop. Creative Convex offer 10 free styled photos for immediate download. These photos make a good choice if you like lots of clean white space and feminine petals in pastel and pink shades. Like Unsplash, Pexels is another huge free stock photo site with a great range of images. It’s easy to get a bit lost down a kind of image rabbit hole, though, plus some images are better quality than others. If you like big bold statements and vibrant colour schemes, check out the free feminine styled photos from Rekita Nicole. They are perfect for blog posts or Instagram and you can download them straight from Rekita’s website. Rekita does ask for a photo credit back to her site if you use the images online. 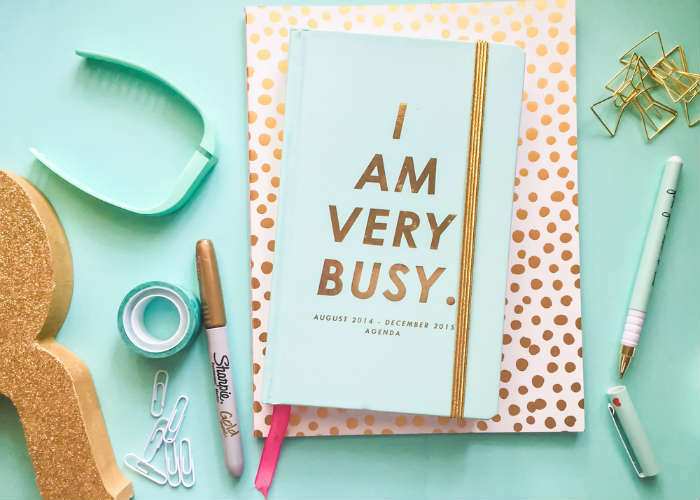 Now I totally get that if you typed ‘feminine stock photos’ into Google, you were probably after a styled image of a desk with a shiny laptop and pink diary on (or similar!). But if you want to go a tiny bit left-field, don’t rule out Gratisography. All the photos are taken by Ryan McGuire and not only are they excellent quality, they are totally unique. You won’t find any colourful paper clips or glittery pen pots here, but dig around and you might find some images that could help you stand out. I also run a parenting blog and I used a few of Ryan’s quirky image in this tongue in cheek post about being a parent. Sign up for Elle’s mailing list and you’ll get 10 free, feminine styled stock photos sent to you via email. The images are a nice selection of girly desktop shots like the one above, mixed in with more floral shots. The photos are square format, making them another good choice for Instagram. For access to more images you can sign up to the Styled Stock Society photo library. Photo credit is required for the free images. Rawpixel are quite new on the photo library scene and their stock photos are a mix of free and paid shots. You have to dig around a bit to find the decent, more feminine images, but they’ve got some nice styled desktop shots available that could work well on many a Mom blog! Make sure you keep ‘Free’ selected in the top navigation menu if you only want to view the free shots. You need to sign up to the Free Plan to download up to 100 free images per month. 3 More Bonus Places To Get Feminine Styled Images! 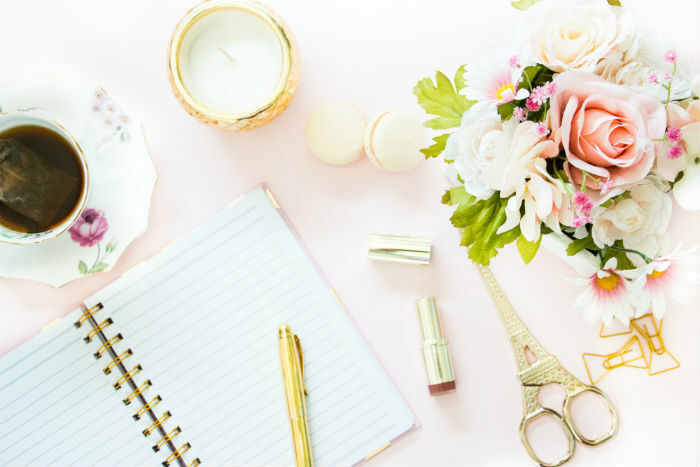 The 12 sources above are my personal favourites for free feminine styled photos, but here are 3 more sites where you can get even more feminine inspired shots completely free! 13 – A Prettier Web – Mel at A Prettier Web is a whiz with WordPress and offers some great tutorials. 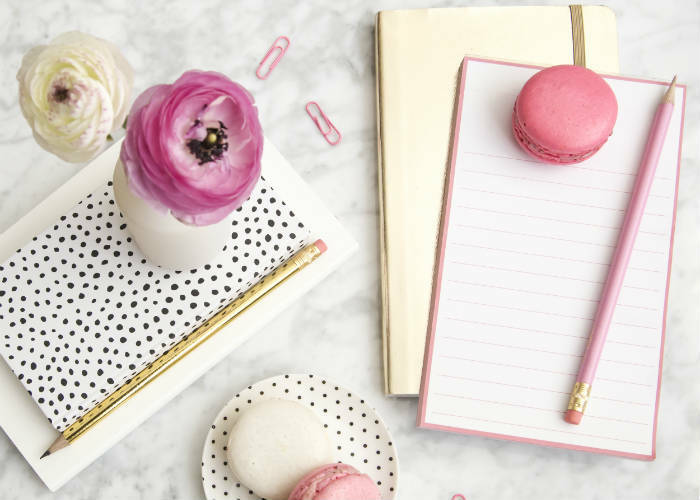 Sign up for Mel’s newsletter & you’ll get 6 free photos of a feminine styled desktop workspace. 14 – Dabbles and Babbles – Jamey over at Dabbles and Babbles offers 8 more girly styled desktop shots for immediate download. 15 – Helene In Between – Signup for Helene’s newsletter and you’ll get access to 15 styled shots for use on your blog or social media. So there you have it. 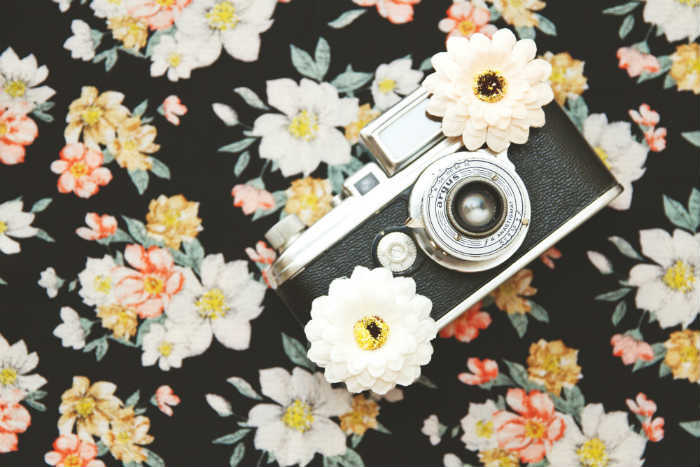 15 girly styled, feminine free stock sites for your blog or creative endeavour. The mix of free photos above should keep you going for a while, but another alternative, of course, is to take your own photos. use a Canon EOS (quite pricey but worth it if you have the budget), but many people succeed at taking brilliant photos simply by using the camera on their phone. You can also find some great free or paid beginner photography courses on places such as Udemy or Teachable. Ok, it’s over to you now, to go forth and create some fantastic girly graphics! Thanks for your article, it is very informative. I have used stock images for my website for years, but I was never aware that there were sites specializing in specifically feminine shots. I think this can be incredibly useful for ‘target marketing’ your products or services. While all of the sites you listed have both free and subscription based photos to use, do they also have packages (5,10,20 picture packages)? 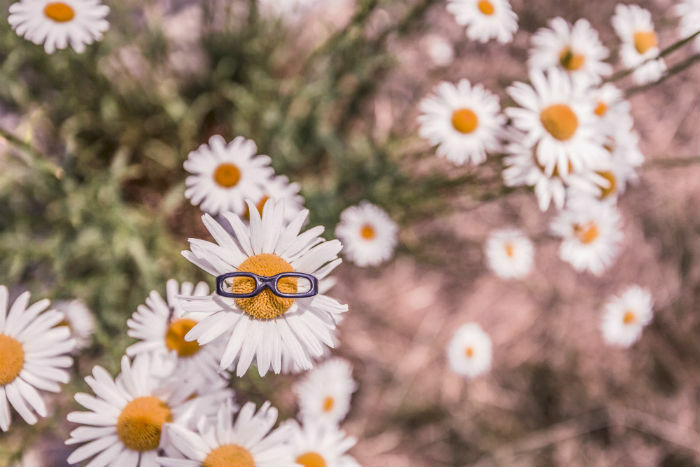 Sometimes I can’t find what I’m looking for in the free images, but I don’t need a subscription service. HI David, most of the sites I mention don’t have packages, except a couple of the smaller personal blogs who, from memory do offer some packs of styled feminine images. This likely ins’t quite what you’re after though, so if you’re not familiar with the site already, you could try https://www.123rf.com/plans/ – they offer a credit service, where you buy, for example, 40 credits, which you can then use to ‘buy’ images as and when you need them. It’s worked well for me in the past on a different site I have. I love this post. Thanks for sharing all those websites, I will definitely have to go through all of them as I’m always short on photos for my blog.